Q: What sets Stoett screens apart from the competition? A: Individually crafted and expertly installed to fit your unique home and lifestyle, each Stoett retractable screen system offers unlimited design, color, and remote operation features that you personally select to fit your individual taste, budget, and home automation specifications. Stoett screens offer lifetime utility and exquisite styling to enhance windows, doors, and architectural openings. Most automated screen companies offer exterior and interior shade and sun control, but Stoett takes it a step further by also protecting your living spaces from insects. When not in use, our screens self-protect from the elements; gliding away smoothly into a specially-designed casing. Q: Can I install the screen system myself? A: Each installation is as unique as the doors and architectural openings in and around your home. Only a professional installation by a trained and certified installers can ensure the exact level of quality our customers deserve. No Do-It-Yourself kit offers a perfect, custom fit. You will take pride in, and enjoy the impressive look and hassle-free results of our expert installation. A: Expect the process to be quick and convenient! Each project varies, but you can expect the work of our certified, professional installers to take only 1 to 2 hours per opening. Q: What’s included in the warranty? A: Our warranty covers all working and moving parts on the retractable screen from defects in material and workmanship, applying only to the original purchaser. It does not cover the screen material itself, or from damage due to misuse, abuse, or acts of God beyond the control of Stoett Industries, Inc. or our representatives. See our complete written warranty for all details. Q: What sizes of openings will the screens cover? A: The StowAway™ retractable screen system is designed to cover any opening up to 9 feet in height and 4 feet wide (for a single entry unit). French doors are covered with two units, one unit on the left and one unit installed on the right jamb that retract and meet in the middle. 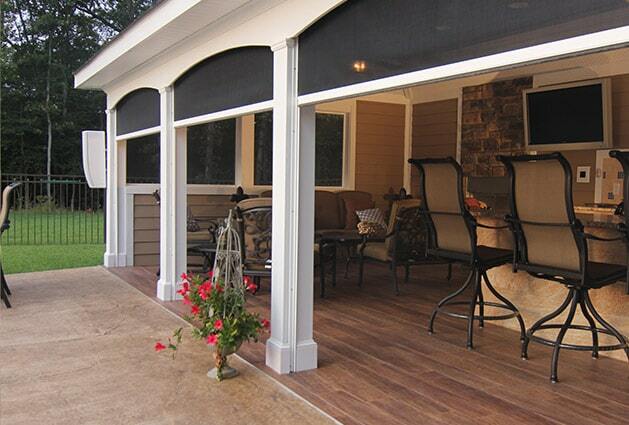 Panorama™ retractable screens can cover large openings up to 11 feet in height and 20 feet wide. Also designed for large openings, PanoramaLite™ retractable screens can fit openings up to 9 feet high and 11 feet wide. SportScreen™ retractable screens will work in RV openings up to 115 inches high and 102 inches wide. Q: How do I care for my Stoett screens? A: Very simply! 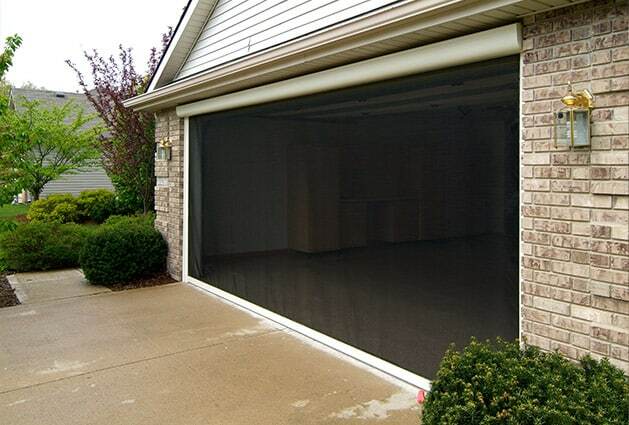 A key benefit to our customized screen designs is their ability to self-protect from the elements. The tracks that run along the top and bottom do need to remain reasonably clear of dirt and debris to operate at peak performance. Occasional lubrication of the tracks with a silicone-based lubricant is recommended, and oil based lubricants are discouraged as they attract dirt. Q: Where can I find the price list for your products? A: Our range of screens are made available through a Dealer Network including some of the world’s most reputable, quality window and door companies, builders, contractors, and building supply houses. Based on the exact combination of products and features you choose, your local dealer can provide a price and suggest options.